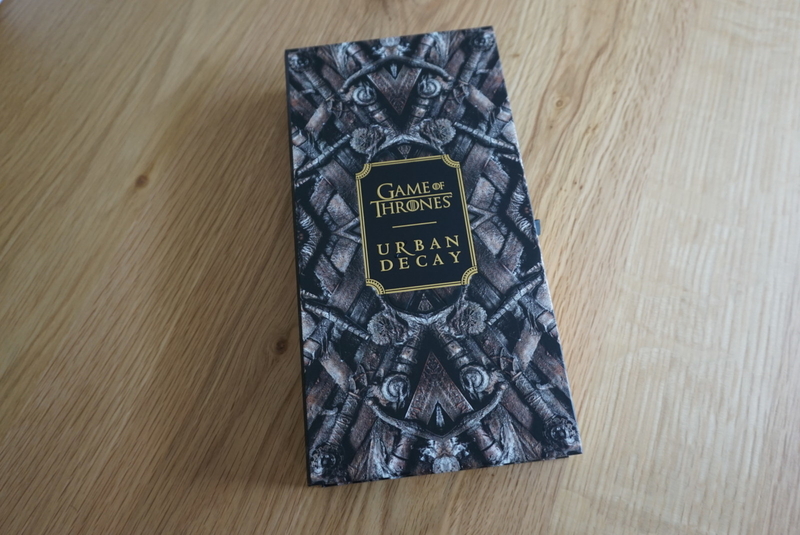 In case you haven't heard, Urban Decay partnered with HBO to release a Game of Thrones limited-edition collection just in time for the final season. In fact, both Maisie Williams (who plays Arya Stark) and Nathalie Emmanuel (who plays Missandei) rocked the line at the Season 8 premiere — and looked like actual queens. As enormous fans of the show, we knew we HAD to get our hands on this line to show you what it's like, try it out, and of course, like the loyal Starks that we are, give you our honest thoughts. Just like the show, the details of the palette are very clever and intricate. 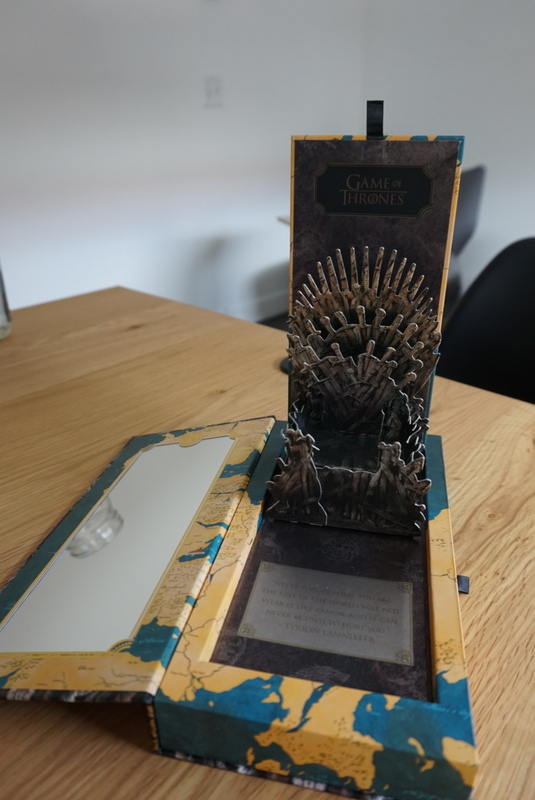 We were all giddy over the pop-up Iron Throne that rises when you pull on the tab. 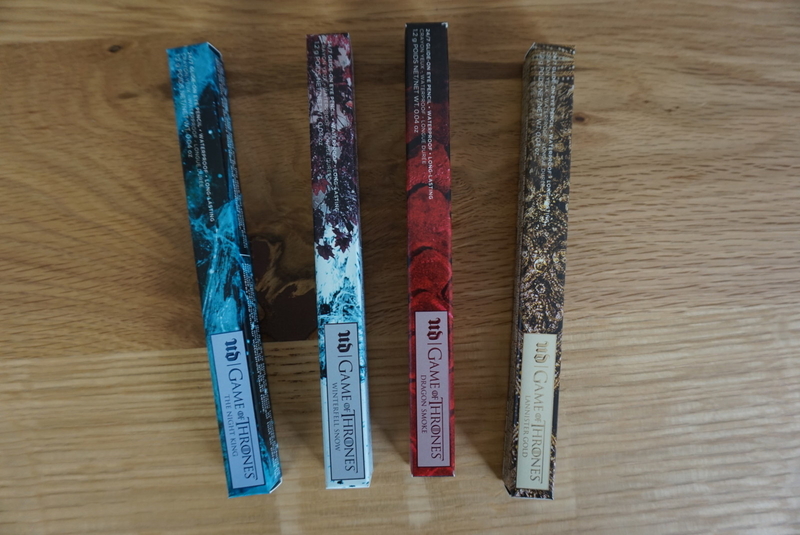 Each section of the palette is inspired by different "houses" — House Stark, House Targaryen, House Lannister, and the White Walkers. Right away, we loved them almost as much as Daenerys loves her dragons. We even did a little swatch action so you can see what each color looks like. From top left to right we swatched: "Winterfell," "King's Landing," "Bay of Dragons," and "Hardhome." We were also obsessed with the Mother of Dragons highlight palette, which has beautiful, shimmery scales all over the packaging. And each of the colors were named after Daenerys's dragons AND had dragon eggs imprinted in the highlighters...amazing. Another A+ touch is that the eyeshadow brushes are modeled after Longclaw (Jon's sword) and Needle (Arya's sword). 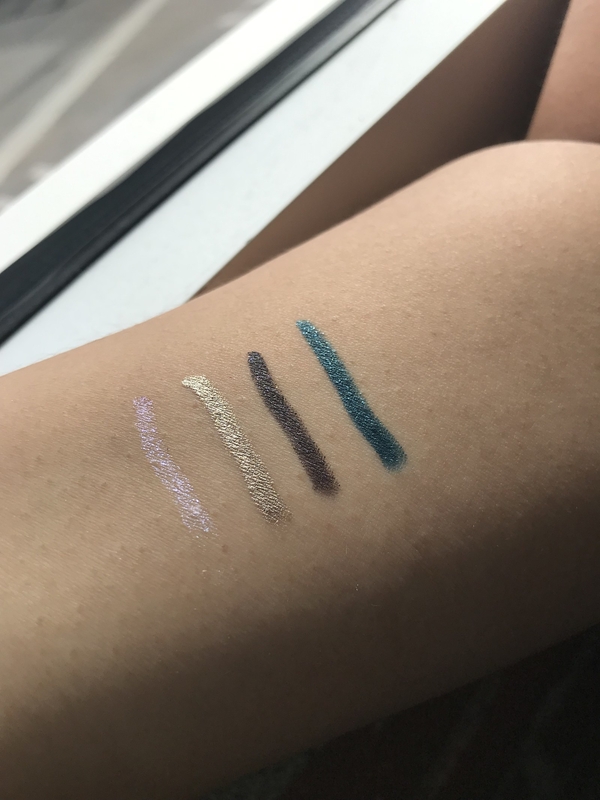 There are also four different colors of glide-on eyeliner, which were even more pigmented than the eyeshadows and left rich, shimmery, and bold colors on our skin. 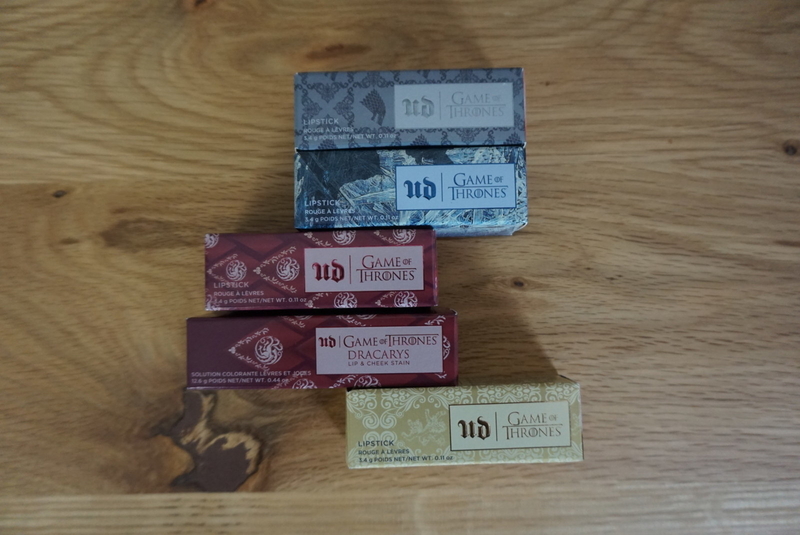 The swatches from left to right are "Winterfell Snow," "Lannister Gold," "Dragon Smoke," and "The Night King." The collection also has four lipsticks and one lip stain, three of which are named after three badass ladies in Game of Thrones. 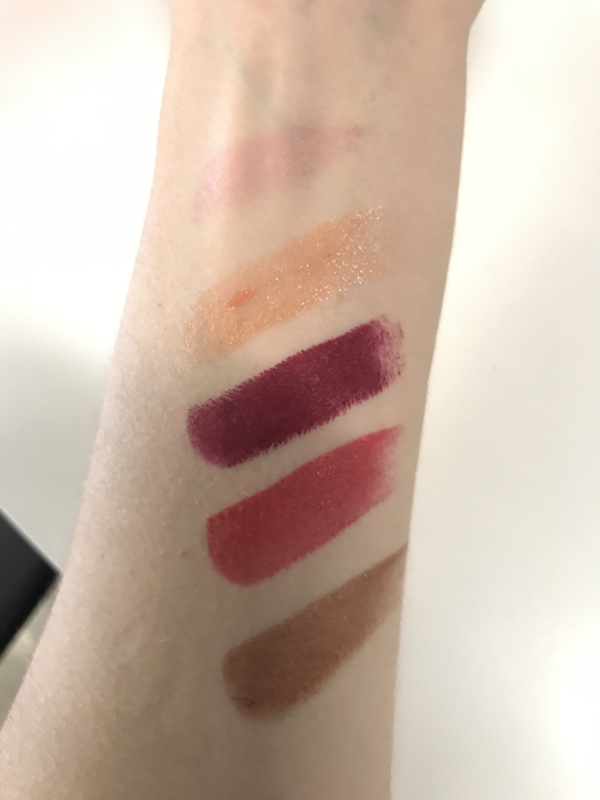 The swatches from top to bottom are "Dracarys," "Sansa Stark," "White Walker," "Daenerys Targaryen," and "Cersei Lannister." 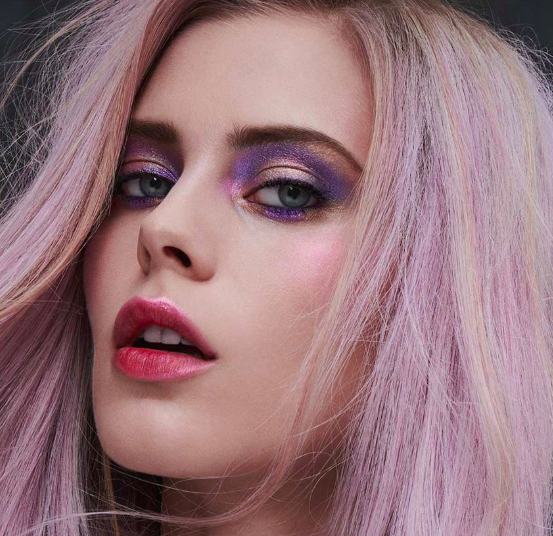 Although we consider ourselves makeup lovers, we are in no way makeup artists! 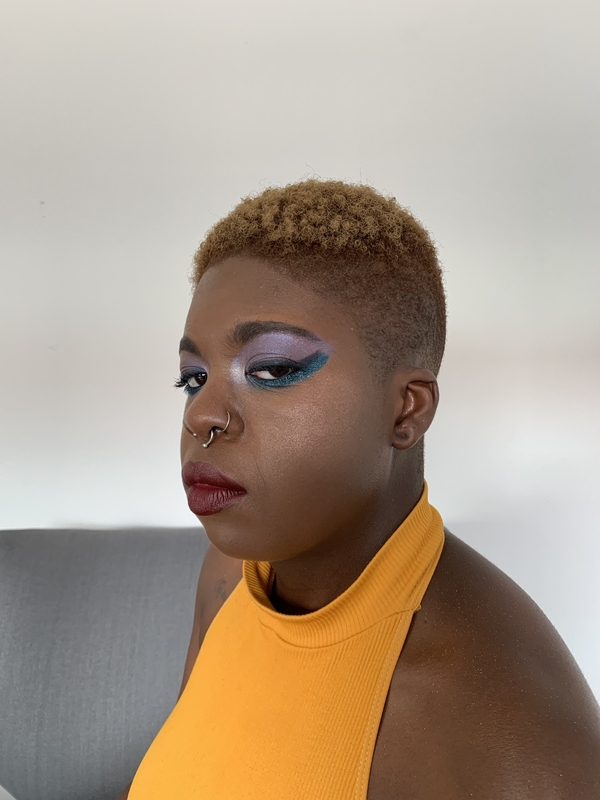 That being said, we decided to recreate some of Urban Decay's fantastical looks to the best of our ability to show you how the line looks. Allie was pretty freakin' impressed with the lipsticks and eyeliner. Allie's thoughts: The names and packaging were absolutely ADORABLE. The lipsticks and eyeliner were easily my favorite items from the collection, as they’re so ridiculously pigmented. Like, I swatched the gold eyeliner on my hand an hour ago and it STILL hasn’t come off, even after washing my hands with soap. 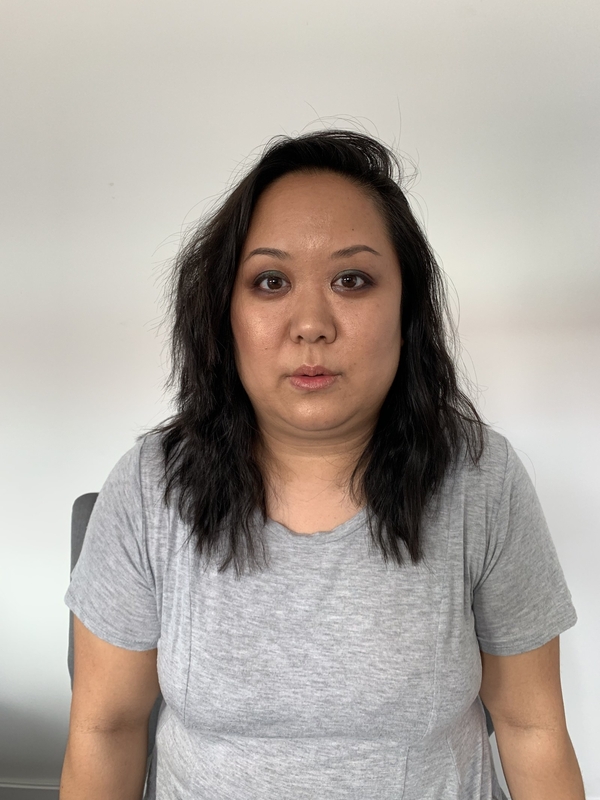 I do feel like the eye shadows lacked pigment but, to be fair, they probably would have showed up better on my skin if I had been wearing a foundation/concealer to hide my natural redness, which is obviously competing with the red tones of the look. My bad! Overall, I definitely think that I had the most wearable look of the four — I just needed a big ol' glass of red wine to complete it. Ehis was SUPER into the lipsticks, but suffered from a ton of eyeshadow fallout. Ehis's thoughts: I used "The Wall" section of the palette for my look! The names are hella fan servicey: "Take the Black," "White Walker," "Frozen North," and "Free Folk." I loved it all. I also loved the lipstick, but I'm a sucker for Urban Decay lippies, so this wasn't a surprise. Even though the palette was hella cute in THEORY, I don't think I'd wear these looks in real life unless I was going to some kind of Game of Thrones costume party. The "White Walker" shade (a very icy blue color) left so much fallout on my face it looked like I was crying cocaine. Let's just say the North remembers just how much eyeshadow was on my face versus on my actual eye. Overall, I think it's very cute and fun to play with, but it's not exactly practical for everyday use. Farrah was dazzled by all the colors in the palette, but was most impressed by the eyeliner. Farrah's thoughts: I used the "Bay of Dragons" section to recreate this look, and I was ready to feel as regal and badass as Daenerys stepping out of a sea of flames. The eyeliner was smooth and silky and went on very easily. Every shimmery shadow in this section of the palette was lovely, but I wish it were just a tad more pigmented. 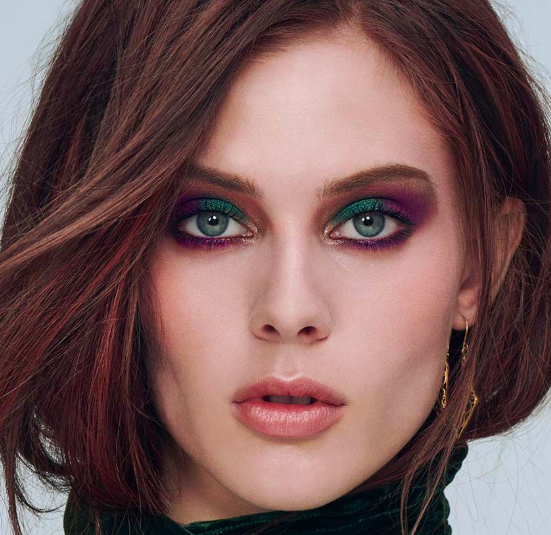 I probably could have kept layering it on to recreate a bolder look, but it already felt like I had a ton on my lids. The eyeshadow brushes KILLED ME. I loved that they were Jon and Arya's swords — that's such a nice touch! Overall, I think the eyeshadow shades work more for nighttime looks versus a daytime look. I would 100% experiment with more of the colors if I were going out! Crystal thought the colors looked cool and was excited to see how each product looked on her face. Crystal's thoughts: Like everyone and their mother, I LOVE Game of Thrones. 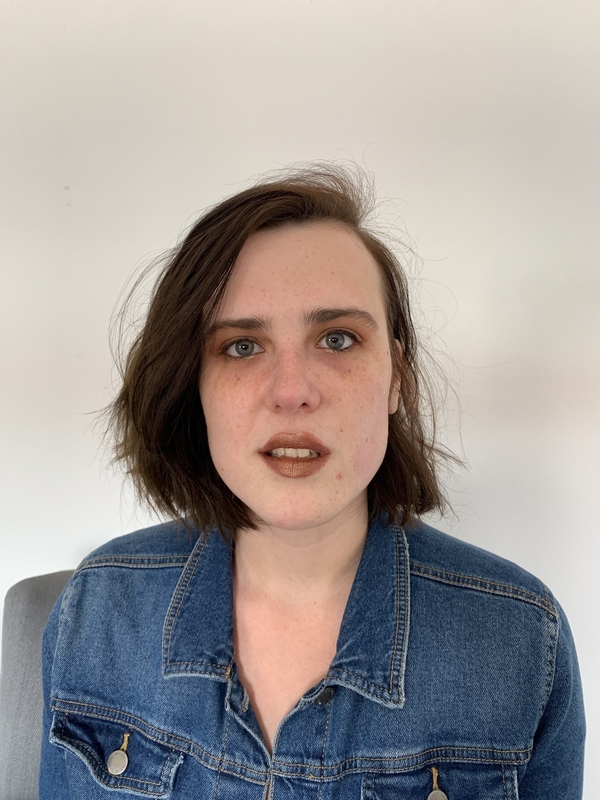 So when I heard there was going to be a GoT-themed makeup line, OBVIOUSLY I was very excited. I ended up picking the “Winterfell” palette for my look. My actual application process did NOT go as smoothly as I would’ve liked, which is 100% user error. But I managed to incorporate all the colors. The only thing I wasn’t a huge fan of was the lip & cheek stain… That did nothing for me. Also, the “Sansa Stark” lipstick was a pretty color in and of itself, but on me it looked sheerer than a dress in Littlefinger’s brothel. 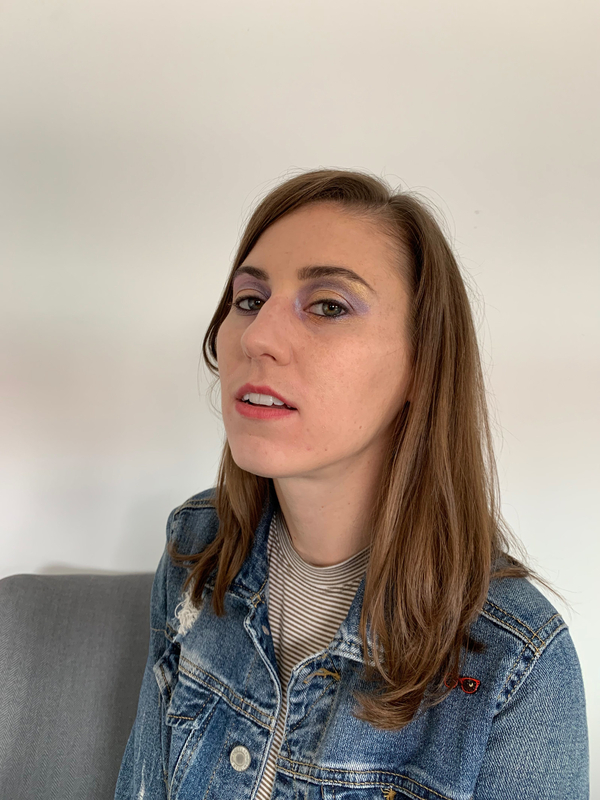 Overall, although the makeup application was A LOT more heavy than I would normally do, I can totally see myself using almost all of these products again — although not for an everyday look. Would I wear this on a night out? Sure…especially if it involved me, Jon Snow, and a steamy cave. I wonder how this makeup would hold up North of the Wall? 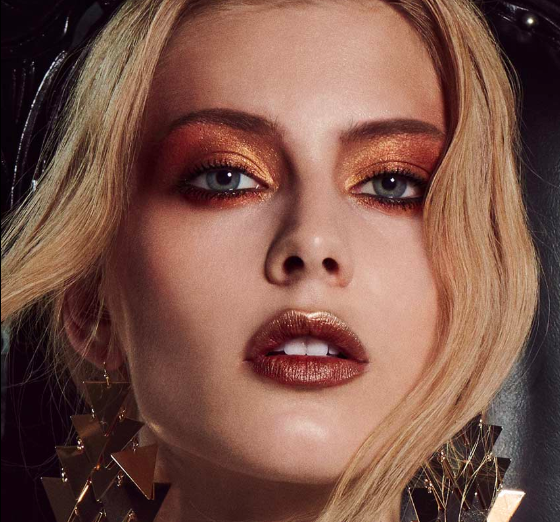 Overall, we LOVE a good theme and think Game of Thrones fans will adore this palette. You can officially buy the entire collection when it releases Sunday, the day of the Season 8 premiere!